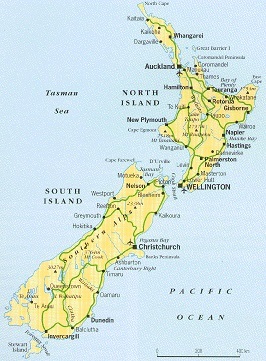 Do you have New Zealand ancestry? Purewa Cemetery is an Anglican cemetery, although many of the persons buried or cremated there are non-Anglican. It is owned and administered by the Purewa Cemetery Trust Board. The first burial was of Catherine Boon aged 15 months on 9th Jan 1889. The cemetery was formally consecrated on November 2nd 1889 which was All Souls Day and is still in use. The Maori name Purewa means Buoyant or To Float. The index contains 42, 797 names of persons buried or have had their ashes buried as at 1989. It's a terrific genealogy tool for anyone exploring their family history or building a family tree. Some of the headstones have been the target of recent vandal attacks and the work of the 1989 transcription may be of headstones which are no longer present. In 1979 a small part of D block was transcribed. The headstones of these rows were to be relocated or removed if dangerous. Not all the headstones were removed and those which were still standing have been re-transcribed and included as part of this project. Where the headstones have been removed since 1979 the earlier transcriptions are included in this set of records. Please examine the cemetery map. Each area of the cemetery is given a name e.g. block E or block X.
Whilst is has been appropriate for this project for the info to be entered in the order of block first then row and then plot it should be noted that the Purewa office has recorded the information in a different order, that is Row then block then plot. This lists all family names, given names, age at death , year of burial (in the case of ashes this can be many years after death) and plot site information. In some cases, the names of living persons recorded on headstones has been included. Stillborn children buried in the Sanctuary often do not have given names and where there have been several stillborn children with the same family name these have a number suffix to distinguish them. A complete transcription of information recorded on the headstones and plaques in block A-F as at 1989 is included. These blocks are the oldest six blocks and the only ones to have actual headstones. The remainder being lawn cemetery. The lawn cemetery plaques were not transcribed but the burial records for the lawn cemetery have been included. The burial records are complete for the first 100 years, 1889-1989. Some burials have been included after this period, however these are incomplete. These had to be kept to a minimum because of the enormity of the task undertaken. Where possible the graves have been cross-referenced to help with research. In the case of grass plots where no obvious connection between the graves was defined these have not been cross referenced. Data provided by New Zealand Society of Genealogists St Johns Branch.